Make yourself at home in one of the 128 air-conditioned rooms featuring kitchenettes with refrigerators and stovetops. Flat-screen televisions with cable programming provide entertainment, while complimentary wireless Internet access keeps you connected. Conveniences include safes and desks, and you can also request irons/ironing boards. Make yourself comfortable in this accommodation, featuring a kitchen with a refrigerator and a stovetop. Wired and wireless Internet access is complimentary, and a flat-screen television with cable programming provides entertainment. 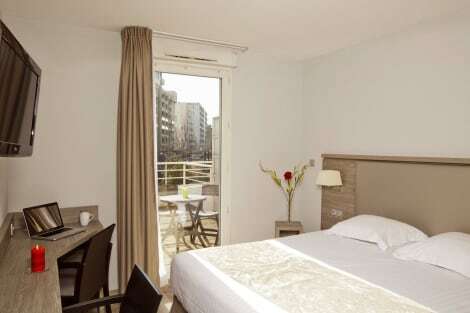 Conveniences include a desk and a microwave, and housekeeping is provided weekly. Make yourself at home in one of the 71 air-conditioned guestrooms. Complimentary wireless Internet access keeps you connected, and satellite programming is available for your entertainment. Conveniences include phones, as well as safes and desks. A stay at Le Grand Hotel Grenoble Centre places you in the heart of Grenoble, steps from Place Grenette and Les Halles Sainte-Claire. This 4-star hotel is 20.7 mi (33.4 km) from Station de Chamrousse and 0.7 mi (1.1 km) from La Caserne de Bonne. A stay at Hotel The Originals Grenoble Gambetta (ex Inter-Hotel) places you in the heart of Grenoble, within a 10-minute drive of Paul Mistral Park and Museum of Grenoble. This hotel is 1.8 mi (2.8 km) from Dauphinois Museum and 1.9 mi (3.1 km) from MC2. With a stay at Brit Hotel Essentiel Suisse et Bordeaux in Grenoble (Secteur 1), you'll be within a 10-minute walk of WTC Grenoble and Jardin des Dauphins. This hotel is 21.4 mi (34.5 km) from Station de Chamrousse and 0.8 mi (1.3 km) from Grenoble Theater. 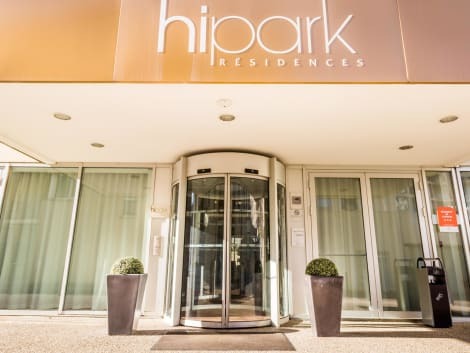 A stay at France Touring Hôtel places you in the heart of Grenoble, within a 10-minute walk of Jardin des Dauphins and Grenoble-Bastille Cable Car. This hotel is 21.3 mi (34.2 km) from Station de Chamrousse and 0.6 mi (1 km) from Grenoble Theater. Grenoble is a city in south-eastern France, at the foot of the French Alps where the river Drac joins the Isère. The proximity of the mountains, as well as its size, has led to the city being known as the ‘Capital of the Alps'. Come here for mountain-based activities, views, adrenalin and something different. Come to the Maison de la Montagne for all the information you need to plan your mountain-based itinerary. Activities found here include skiing, glacier hiking, ice climbing on frozen waterfalls, hiking, mountain climbing, mountain biking, rock climbing, canyoning, paragliding, nature walks and caving. The knowledgeable staff provide you with weather and avalanche bulletins, help plan overnight mountain stays and sell you the right maps and topoguides. 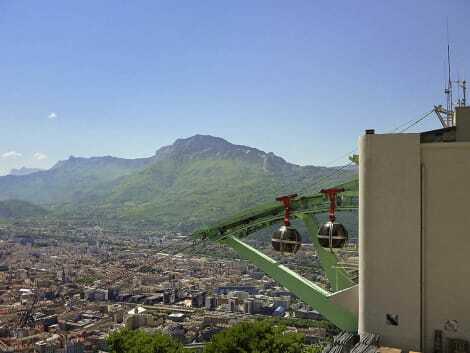 For great views, an amazing fort and a 45-minute walk down to the city, take the Téléphérique Grenoble-Bastille up to the massive hilltop fortress, built to defend France in the early 1800s. The views are spectacular, and on clear days you can see the peaks of the Vercors and even Mont Blanc. Up here also is the Musée des Troupes de Montagne, a fascinating museum about France's elite Alpine regiments, established in 1888. The fort complex has five eateries, great for supplying the energy needed either for attempting one of the walking trails that start and pass by here or, if you dare, Acrobastille described below. Adrenalin junkies need to stay on the Fort de la Bastille and hop on one of Acrobastille's two 300m-long zip lines. Next, plunge into the caving simulator and try out the new Mission Bastille, a labyrinth worthy of Indiana Jones. Safety is assured by special carabiners. Try Le Tord Boyeaux on Rue Auge Gaché, a unique establishment featuring 43 vins aromatisés (flavoured wines) that you drink on the rocks, at €2.50 each. Choose from violette (violet), chataigne (chestnut), Génépi-fraise (Génépi-strawberry), mangue pimentée (spicy mango) and many more. Visit on Tuesdays at 7pm to see how many your taste buds can recognise, and your constitution will allow. MC2 (Maison de la Culture), situated 2.5km south of the centre, is Grenoble's most dynamic venue for theatre, dance, opera, jazz and other types of music. To get there, take tram line A to the 'MC2 – Maison de la Culture' stop. At Chez Mémé Paulette, old books, milk jugs, mess tins and other knick-knacks fill the shelves, attracting a young crowd to its Boho atmosphere and wallet-friendly menu. Here you can buy soups, hot and cold open sandwiches and the popular house speciality, meat and cheese baked in a cocotte (small casserole), at only €6. Alternatively at L'Épicurien, Place aux Herbes, swap knick-knacks for chandeliers, leather banquettes, exposed stone and a twisting wrought-iron staircase in a chic split-level restaurant. An aperitif at the bar whets your appetite for dishes such as creamy gratin dauphinois and herb-crusted lamb.